Backed by a team of knowledgeable professionals, we are presenting a classy assortment of Designer Waterjet Cut Mosaics. This product is obtainable in different customized designing options so as to fulfill the need of patrons. Moreover, this product is well design by cutting edge tools as per the latest trends in the market. Coverage Area: Exterior & Interior Wall. This is used in wall cladding inner side and outer side of home. Also used with swimming pool side. 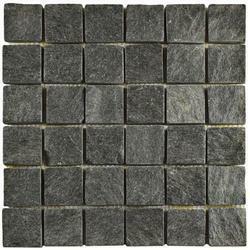 With immense market knowledge, we have been able to provide optimum quality Green Mosaic Stone Tiles.